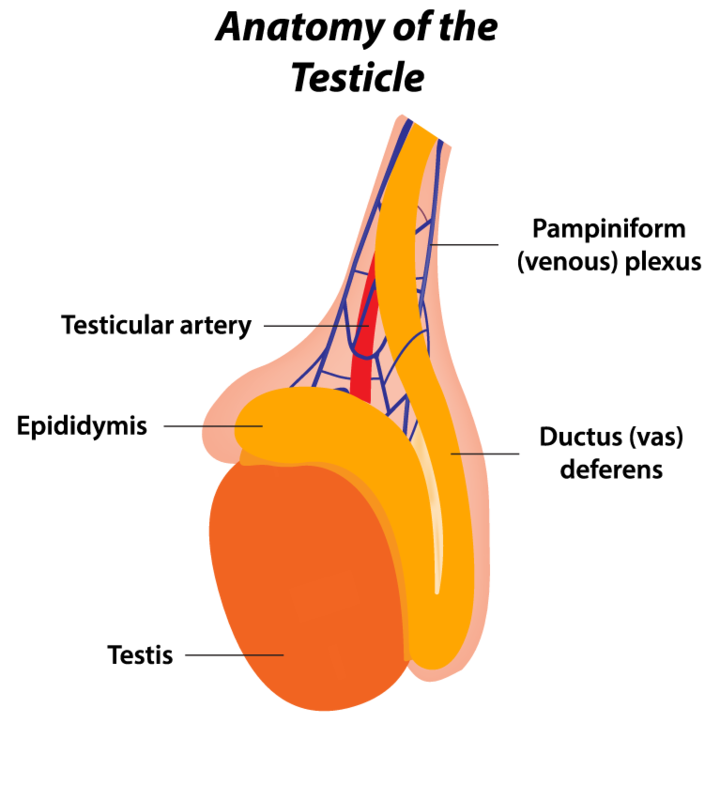 It is normal for one testicle to hang slightly lower than the other, but the size and shape should be roughly the same. 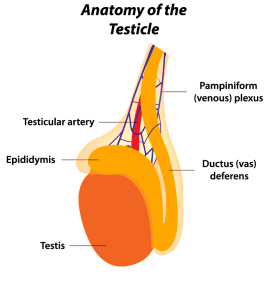 Although still rare compared to other cancers, Testicular Cancer is the most common cancer in younger men aged between 15-45, with approximately 2,200 cases being diagnosed each year. However if testicular cancer is found at an early stage, cure rates of 98% are usually possible. Early detection can save lives! Get into the habit of checking your testicles regularly-around once a month. The best time to check your testicles is after a bath or warm shower. Feel the size & weight of your testicles, examining each one individually. Roll each testicle between the thumb & forefinger to check that the surface is free from lumps and bumps. Do not squeeze. If you find a lump or swelling visit your GP as soon as possible- remember not all lumps are cancerous.